Divination Simone DeLuxe is one of the best and most innovative hair product manufacturers in the world. All products of this line belong to a class known as cosmeceuticals, as they have medical effects, but also give a sense of pleasure and comfort which is characteristic of high-quality cosmetics. DSD products possess significant therapeutic effects which act on hair growth and reduce inflammation in cases of seborrhea, dandruff and structural damage. 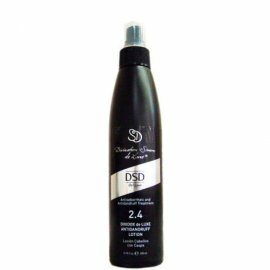 It is difficult to find another line of hair products which meet these specifications and work as effectively as the DSD product line. 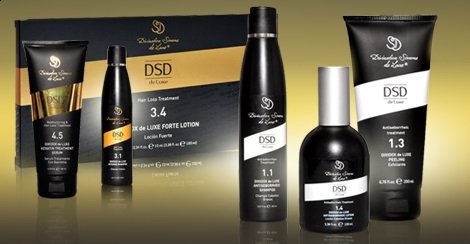 We are confident that when you try DSD products, you will not only be impressed by the quality and effectiveness of our treatments, but also fall in love with the rejuvenating sense of freshness. All products intended to stimulate hair growth are based on ingredients which effectiveness is confirmed clinically and has a serious scientific basis. The safety of exclusive active ingredients has been confirmed not only clinically but also by an immense experience of physicians and users of these products. Biotechnologists and physicians who participate in the development of the Simone de Luxe products are in the vanguard of trichology and therefore, this constantly renovating line of products contains the newest ingredients and components with proven activity. Once you have appraised the DSD products, you not only will be impressed with their utmost efficacy and quality but you also will get a genuine aesthetic enjoyment. This anti-dandruff lotion contains a complex of active ingredients such as piroctone olamine, climba.. This anti-dandruff shampoo contains a complex of active ingredients such as piroctone olamine, climb..
Capixyl™ + placenta shock de Luxe lotion. Capixyl™ is a complex consisting of a patented..
Crexepil de Luxe Classic Lotion is a cosmetic product for hair stimulation, hair loss and hair..
Dixidox DeLuxe forte lotion is intended to reduce hair loss and stimulate hair growth. It con..
Fresh Cells de Luxe concentrate has beneficial influence on hair growth. The product sh.. 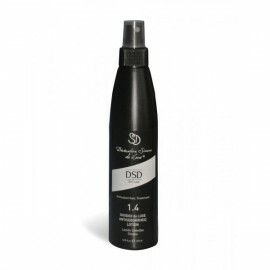 This intensive shampoo is intended to clean scalp and hair, strengthen and stimulate hair growth. I..
Crexepil DeLuxe forte lotion is intended to reduce hair loss and stimulate hair growth. It co..
Science-7 de luxe lotion contains cegaba which exhibits stimulating properties, increasing the mitot..
Fresh Cells de Luxe Wondercell lotion has beneficial influence on hair growth. It consi.. Refers to the double-acting treatments, which both stimulate hair growth and improve its structure. .. 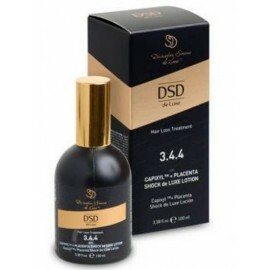 This regenerating keratin-containing lotion belongs to double-effects remedies which simultaneously .. This regenerating keratin-containing mask belongs to double-effects remedies which simultaneously st.. This regenerating shampoo with keratin belongs to double-effect remedies which simultaneously stimul.. Refers to the double-acting treatment, which both stimulate hair growth and improve its structure.&n.. Hair lotion with royal jelly, keratin and active derivatives of soy plants that help to prevent hair.. This antiseborrheic lotion produced on the basis of active seborrhea-regulating components, vitamins.. This antiseborrheic shampoo produced on the basis of collagen and plant extracts, vitamins and activ..
Serum formulated with a lipo-oligopeptide which enhance the appearance of natural eyelashes. ..
DSD de Luxe Intensive Skin Care Cream enriched with Shea Butter and betain penetrates quickly, prote..
Placental protein, Betain, Organic Cotton Extraxt, B group vitamins and violet hues enriched shampoo.. The regenerating Steel and Silk shampoo is intended to restore the structure of the hair damaged as .. The regenerating Steel and Silk balsam is intended to restore the structure of the hair damaged as a.. The regenerating Steel and Silk mask is intended to restore the structure of the hair damaged as a c.. The regenerating Steel and Silk spray is intended for careful and deep scalp and hair treatment.&nbs.. Solution with betaine, a natural compound known for its beneficial properties for scalp and hair whe..